The Press Brake Productivity ToolStation is now available in two versions. Both ToolStations have been developed to safely change and store New Standard Tooling. The Heavy Duty (HD) version has been developed for safely changing and storing heavy and large tools and is designed for use with the NSCL-HD-HC Heavy Duty Clamping System. The standard version is ideal for smaller New Standard tools and is designed for use with the NSCL-II-HC Premium Clamping system. Both models make it possible to quickly change tooling, and improve safety and ergonomics for the press brake operator. 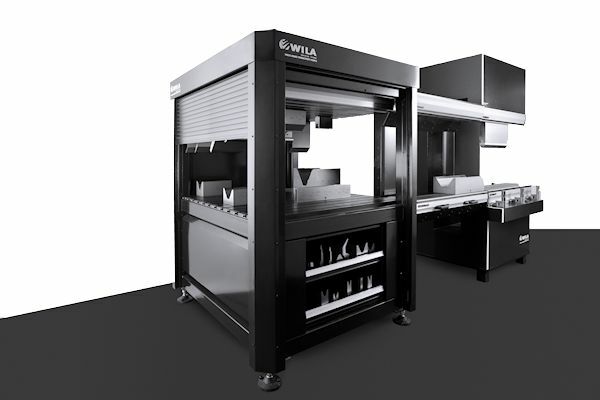 Further information about the Press Brake Productivity ToolStation can be found in our Wila Tool Storage Systems brochure ».